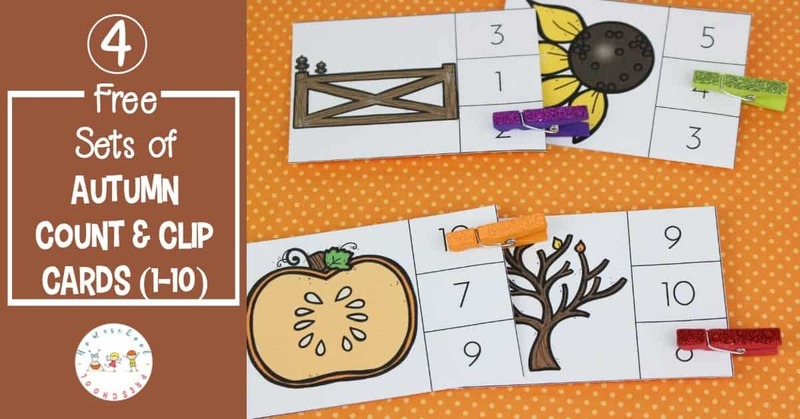 Fill your preschool math centers with these autumn count and clip cards. 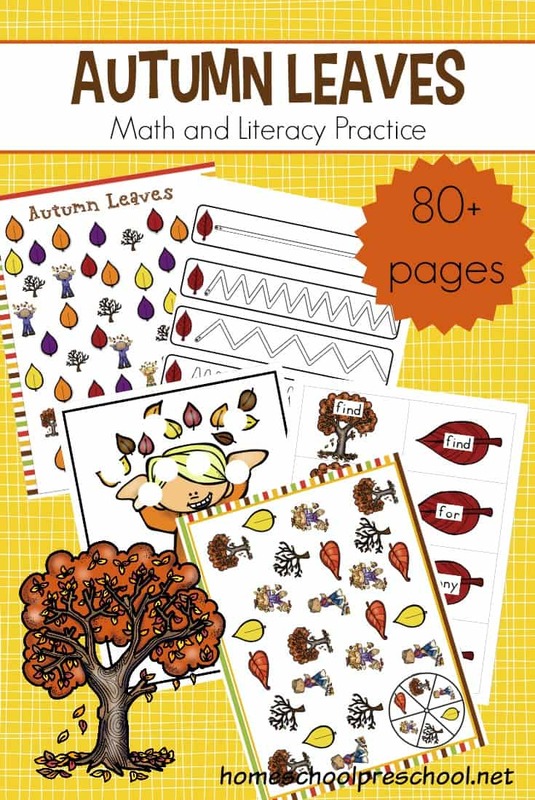 Crows, pumpkins, sunflowers, and leaves adorn the cards in this printable bundle! 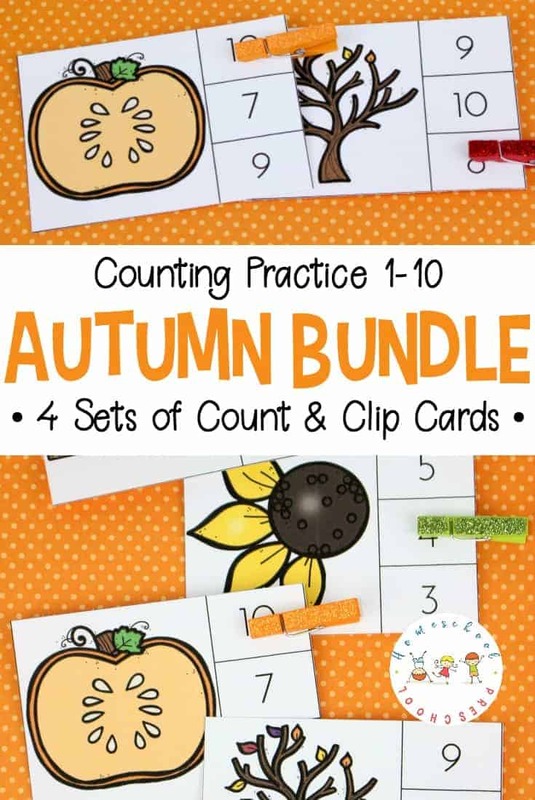 Preschoolers will practice counting to ten with this bundle of count and clip cards. 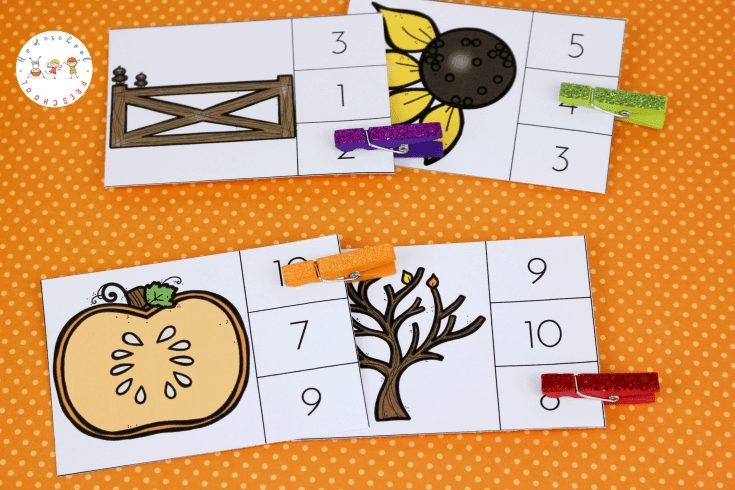 With a variety of autumn themed graphics, these math cards will fit into many of your fall preschool theme lessons. I love filling my homeschool with multi-tasking lessons. Lessons that focus on more than just one skill. I feel like I’m kind of cheating the system when I can check a few things off with just one learning activity. Count and clip cards fill that need for me. 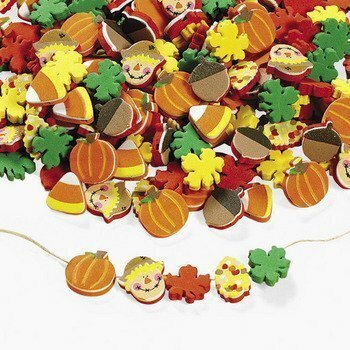 Young learners will work on counting, one-to-one correspondence, and fine motor skills all at the same time. These count and clip cards will help young learners practice counting to ten. 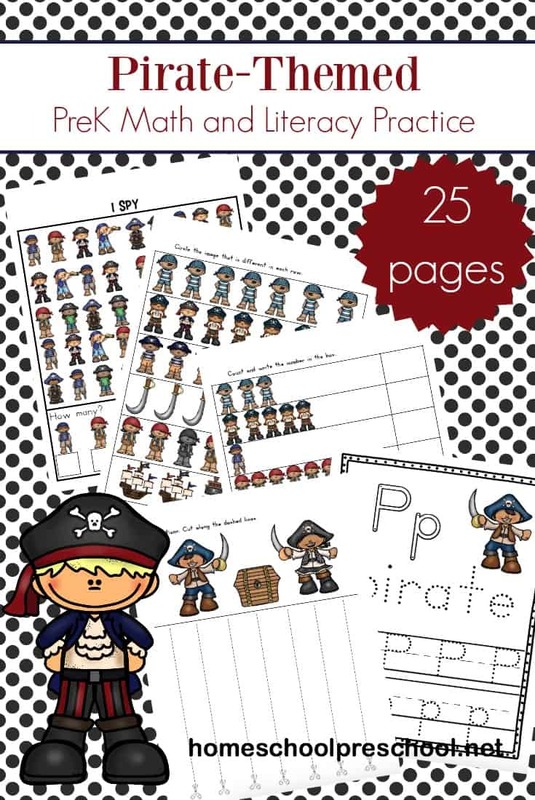 This low-prep activity is quick to set up, and will keep young learners engaged for quite a while. Print out each set of cards. This bundle contains four sets. I suggest printing them on cardstock for stability. I would also laminate the cards for durability. Laminating the whole page before cutting apart the cards will save you from having to cut them out twice. Once you’ve laminated your pages, cut the cards apart so that you have 40 individual cards. Now, you’re ready to go. For toddlers and younger preschoolers, I suggest starting with just the 1-5 cards. If you’re introducing count and clip cards for the first time, I suggest sharing them one at a time and in numerical order. This will make it easier for young learners to “count on” with each successive card. It’s also helpful to have kids count aloud in the beginning. 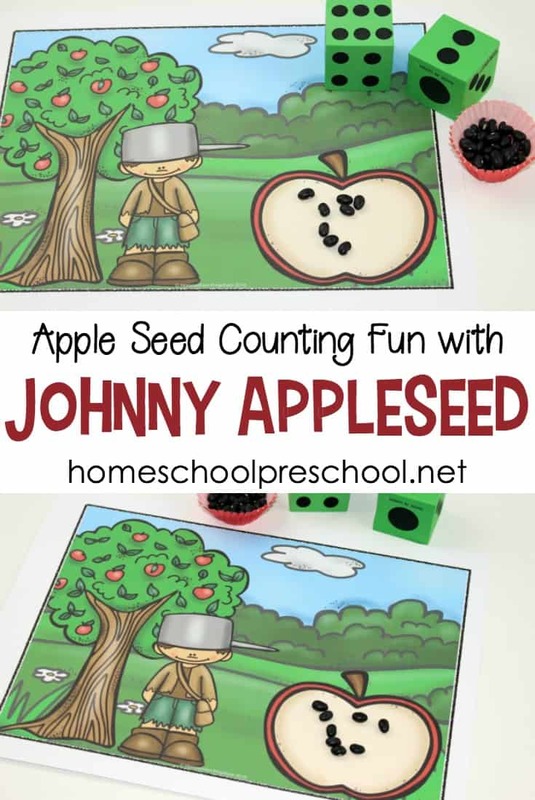 This will allow you to assess how well your preschooler can count and if they are skipping numbers as they count. If they are struggling, count aloud with them. When your preschooler can correctly identify the each number in numerical order, mix up the cards and let your child work through them. This is a great way to assess your child’s counting skills. 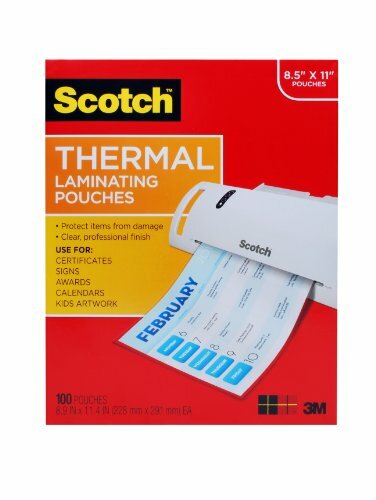 You can make this a self-correcting activity by putting a small sticker behind each correct number (on the back side of the card). Then, your preschooler can clip the correct number and turn the card over to see if they’ve clipped the sticker, too. Don’t have any clothespins on hand? 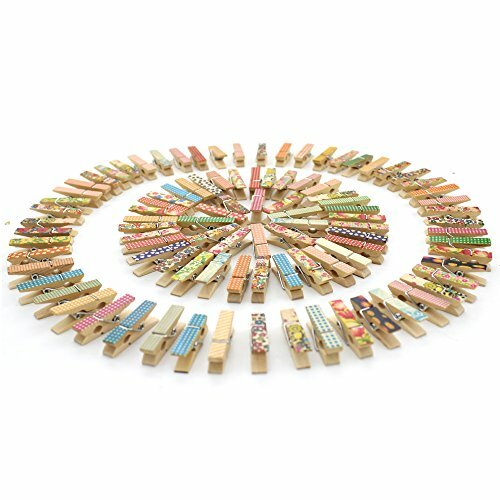 You can use paper clips, small buttons, or mini erasers. The important thing is for your students to have a way to identify the correct number on each card. These Autumn Count and Clip cards are available only to my subscribers. Please click the image below, submit your contact information, and then follow the instructions for your download. I cannot find the link to download these, I am already a subscriber. I am so sorry. There was a glitch. The button is showing up now.